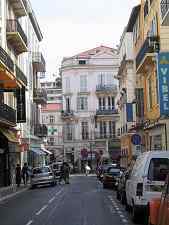 3 bedroom holiday apartment 5 minutes walk from the Beach and 7 minutes from the Film Festival Congress Centre ideal for holidays or work! 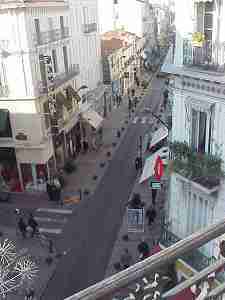 The apartment is located in Cannes on Rue d'Antibes which is the main shopping street in Cannes Cannes. 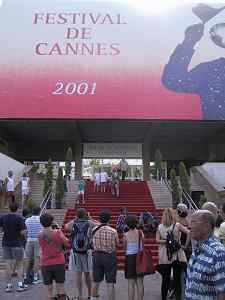 and restaurants etc., Cannes provides a good destination. The apartment is on the third floor facing south and west. It's a large apartment of over 120 square metres (around 1300 ft2). There are three bedrooms. The apartment is fully furnished with TV, video and stereo. 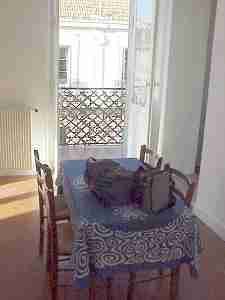 The apartment was renovated 4 years ago and is in nice condition. We are Swedish and we like simplicity of style. The master bedroom has a double bed whilst the two other bedrooms have two separate beds in each room. There is a small dining room with axcess to one of the balconies and a large living room of 30 m2 approx 330 ft2 which as well has axcess to the same balcony as the diningroom . 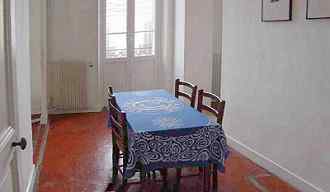 The kitchen is furnished with a table for six. There is a washing machine in the kitchen. There are two balconies and three accesses to these, one from the living room, one from the dining room and one from the master bedroom. The staircase and entrance is shared between all the apartments in the building and it's not as we would like it to be - but it's traditional for French town buildings. For fresh bread in the morning there are three "boulangeries" within the block offeing warm bread as well as "pain chocolad" or the well known "croissant" Two supermarkets are with in walking distance. 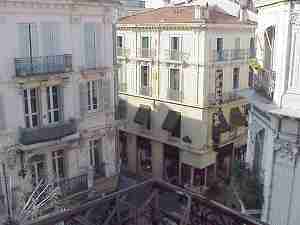 French Riviera Nice: 1st floor apartment near the old city and the port of Nice (sleeps 4) The southern exposure allows for a pleasant stay. You will find everything you need at the �centre commercial Nice TNL� that is just down the street. The train station is just a 5 minutes walk away from the apartment. 2019: Good availability - please enquire. About using this site . 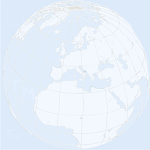 . .
We expect this site to be easy to navigate and that we will have helped you to find what you're looking for. 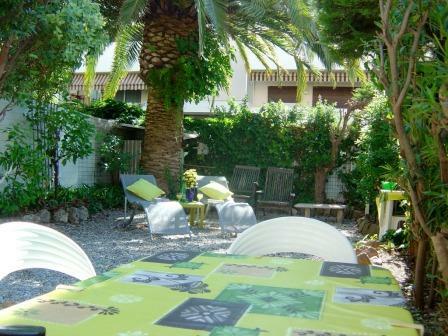 If you are looking for a holiday rental villa or apartment, somewhere on the left, you'll find availability dates. These are inserted for your benefit so that you don't waste time enquiring about a property that is booked already for the dates you want . . . If the dates you want are booked, please scroll down the page where you will find other properties listed together with their availability dates . . . About enquiring from this site . . .
Somewhere in the page on the left you'll find an "CLICK TO ENQUIRE" button or a straightforward email address on which to click. Enquiries go straight to the owner of the property . . . so if you are enquiring about more than one villa or apartment or generally about accommodation in the region, please send an enquiry individually relating to each property. Except for pages for a minority of clients, your enquiry is not going to an agency for all the properties in a region - you are booking direct with the owner . . . and for the reason below, we feel that you can have confidence in doing so . . . A little about Latroba pages . 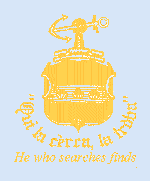 . .
Qui la Cerca La Troba is the motto of the Latrobe family . . . and these pages are intended to help you to find easily what you seek . . .
During the course of working for our clients, we tend to get to know them quite well . . . and we only work for people who we can get along with, who we enjoy working for and who we can trust. We charge our clients partly on a commission basis . . . so we only work for good clients who provide a good service to their customers . . . such as yourself! For this reason we expect that you should have a good experience buying or booking through our clients, and if you don't (very rare), we like to hear about it! If you have a property to sell or let for holidays in UK, Spain, Balearics Islands, France, Greece or Italy email the Webmaster.